Dr. Nitasha Puri, MD, CCFP, is a Clinician Researcher with the BC Centre on Substance Use, Clinical Assistant Professor in the Faculty of Medicine at the University of British Columbia, Medical Lead at the Roshni Clinic in Fraser Health, and physician consultant with Vancouver Coastal Health. Her research interests broadly centre upon substance use among racialized populations, healing and recovery, and health equity. Nitasha is the Principal Investigator for the MAPS sponsored Phase 3 Clinical Trial exploring the effects of MDMA-assisted psychotherapy for people living with Post Traumatic Stress Disorder, as well as the Principal Investigator for a pilot trial exploring the use of psilocybin-assisted motivational enhancement therapy for the treatment of Alcohol and Stimulant Use Disorder. She recently completed a qualitative study exploring the experiences of Punjabi people accessing treatment for Alcohol Use Disorder, which has been used to inform proposed e-health innovation pilot studies in the Fraser Valley. 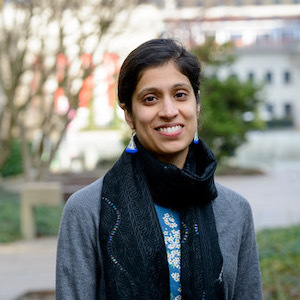 As an addition medicine physician originally trained in family medicine, she is involved in teaching addiction medicine fellows and leading an innovative culturally tailored outpatient addiction service for people of South Asian ancestry living with substance use disorder.